Internationally inspired gourmet blends made with Certified Organic ingredients, including curries, dukkah, relish and chai. No added colours, flavours, preservatives, GMO free, gluten-free, vegan friendly. 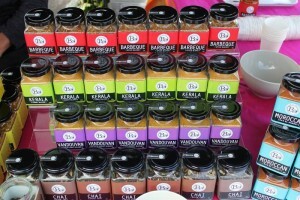 Spice Fusion’s product range includes 30 unique spice and curry blends, 4 dukkah blends and a to-die-for chilli jam, all of which are handmade in their Ringwood home kitchen. Free recipes (and spice advice) are given away with every purchase.